This week thru 2/9, Target is offering up a FREE $5 Gift Card when you buy 4 select personal care items. 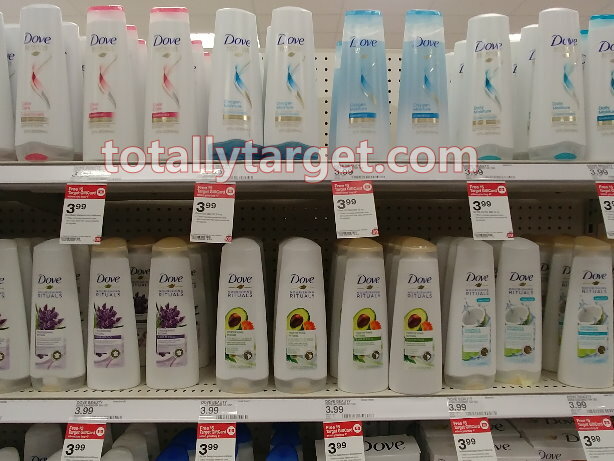 Dove hair care is included and we have a high-value coupon to make for a hefty discount…. However, you can get an even better price per Dove by mixing and matching with other items. For example, we have a great rebate with Axe right now, so you could mix & match and grab hair care for FREE!….